hector take on ROSE’S heavenly CAKES: The Bostini (page 351) uses a coconut chiffon cake. i’ve just discovered that you can use a silicone pan to make a chiffon bundt. 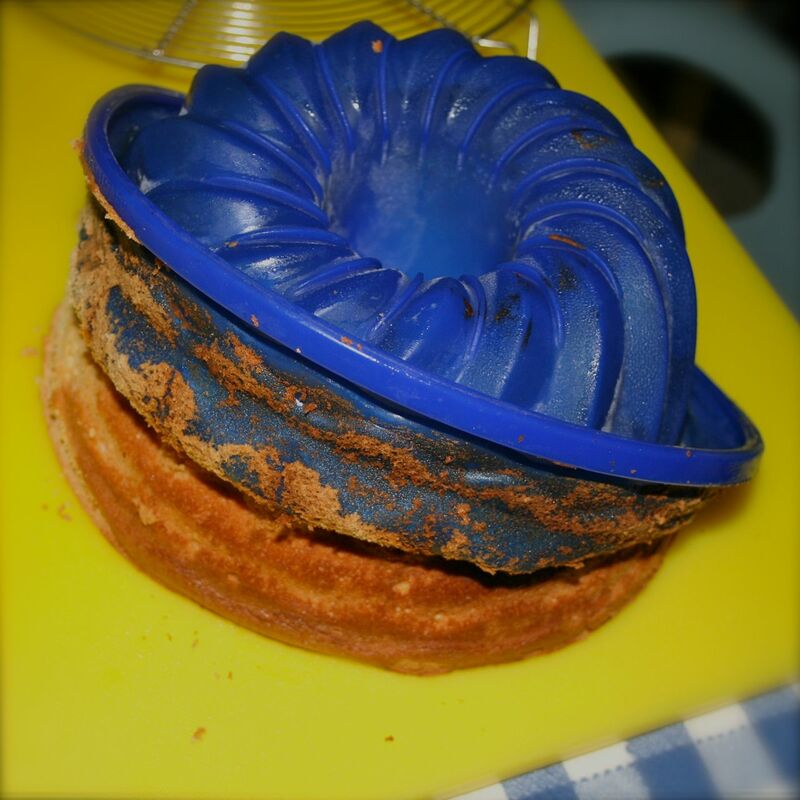 use an ungreased silicone bundt pan. 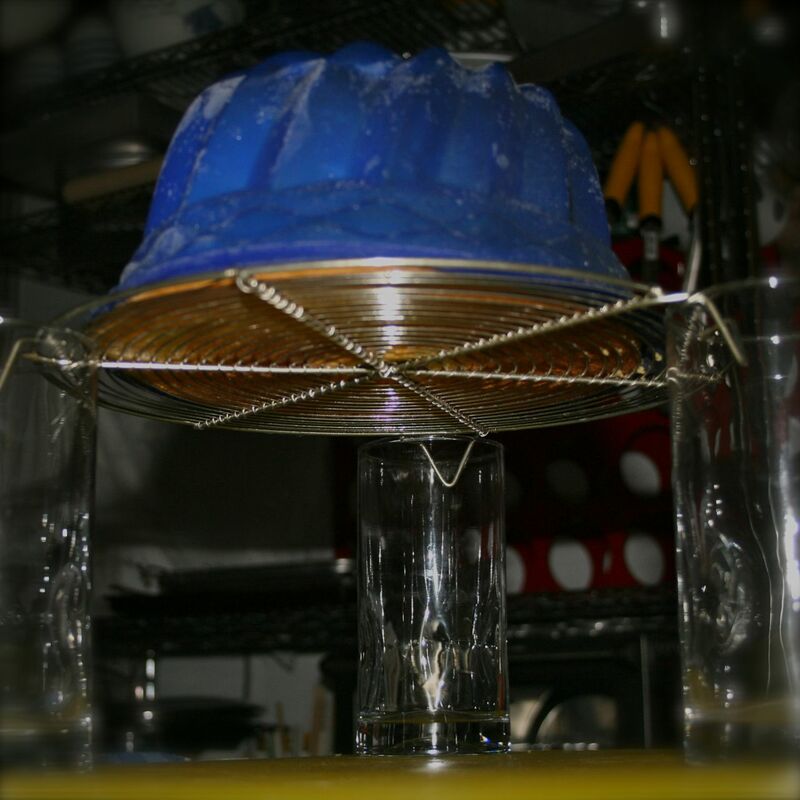 cool inverted on a cooling rack suspended on tall drinking glasses. freeze overnight. peel pan off. 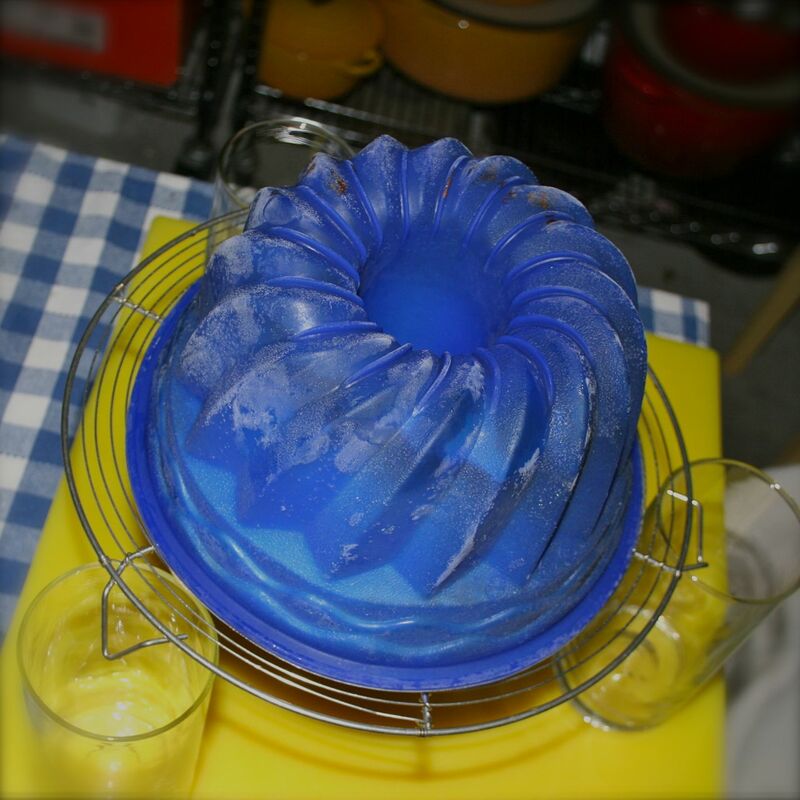 Hector, love the idea of making chiffon in a shaped bundt! What caused the burned areas on the crust, was it uneven browning of the silicone, or funny business in your oven? 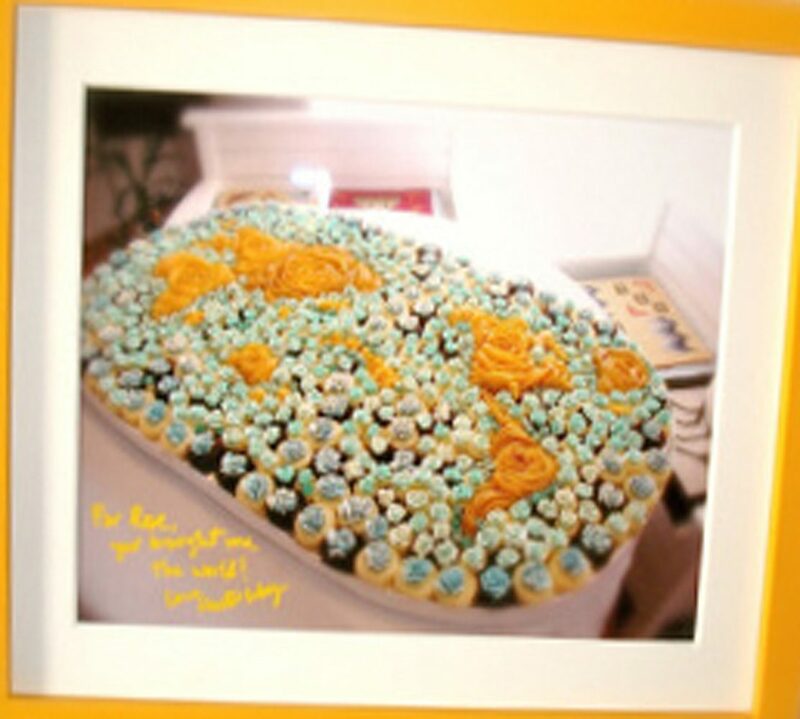 i love the chiffon bundt concept too! and the texture was perfect, no problem cooling it, etc. the burnt areas is a TRUE reflection of how my oven heats. the burnt spots are the areas closer to the bottom heating element. the one side darker than the other is that my oven is hotter on the back and cooler towards the glass front door. baking with a silicone pan can be seen as two points of view and i discussed this with Rose with enlightenment! 1- you can say silicone pans are VERY uneven baking. 2- however, what i think is a more true statement, is that silicone pans are VERY even, but they don’t conduct heat, so how the cake turns out is a perfect reflection of how even or uneven your oven heat is! see, with a metal pan, the pan itself evens out the heat coming from the oven. i will consider baking this again and again (i can’t resists the concept of chiffon bundt! 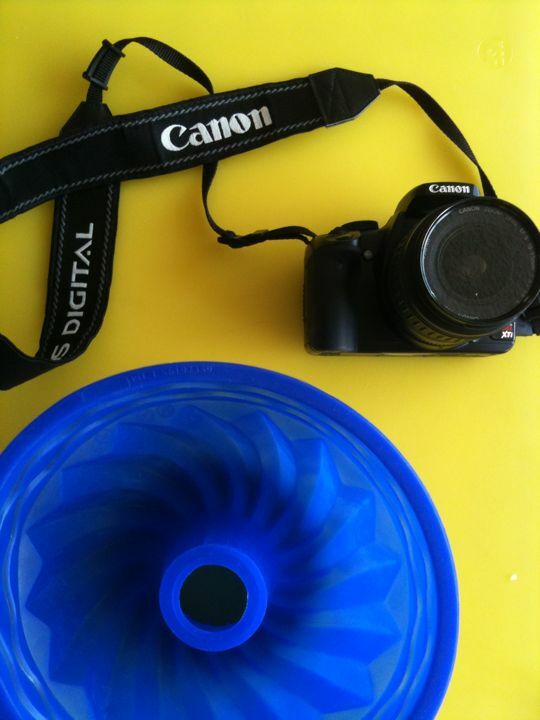 ), but perhaps placing the entire silicone pan inside a metal pan or lining my oven racks with tiles or baking sheets. this is to even out the oven heat, not the silicone heat!